While it is always brilliant to kick back and relax while watching an epic cricket game, we know that it is impossible. Cricket (sadly) isn’t always on television. 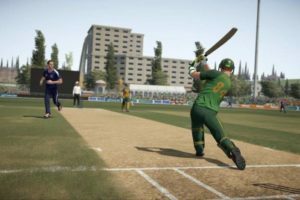 Thankfully, if you want to get your cricket fix, there are plenty of cricket video games you can play. Let us introduce you to five of our favorites. While there is not necessarily that much to stick cricket, it is a fun game. It is based around ensuring that you have perfect reflexes. The game bowls the ball. You hit the ball. Simple stuff. There are a few different modes built into Stick Cricket, but it is mostly just whacking balls and it is a surprising amount of fun. It doesn’t take that much in the way of brain power to play. The best part is that Stick Cricket has recently been ‘re-released’ for mobile devices. 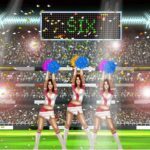 This means that after you have used your Betrally bonus code to have a bet on the ‘real’ cricket, you don’t even need to move from your position on the sofa between innings to play the mobile game too. We are going back even further with this Megadrive offering from 1996. Many people think that this was the first Brian Lara game to be released, but it wasn’t. There was one more before it. However, it was a fairly forgettable affair. Most people didn’t believe that cricket games had the ability to make money, so the offering in 1995 was just poorly made. It lacked licensed teams, and the game was dreadfully simple. When Brian Lara Cricket 96 came out, it took the cricket world by storm. It had county teams. It had a decent amount of difficulty to it and, of course, it was advertised by one of the top cricket players in the world at the time. Brian Lara Cricket games would come out over the next few years. Each of the building on what Brian Lara Cricket 96 brought to the table. So, while the 96 offering is not the best game in the series, it is the one that well and truly kick-started it. I know that there are a lot of people out there who hate EA sport offerings. It is true that they are made to have a mass market appeal. Even the guys at onlinecricketbettingsites.com who spend their whole day betting on real cricket can’t deny that this game is good. 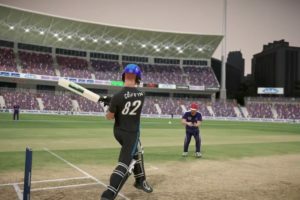 EA Cricket games have the power of EA behind them. I don’t know how often you play EA games, but this is a company that is willing to spend money on ensuring the best gameplay experience possible. 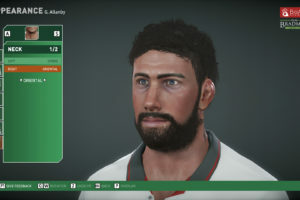 With EA Cricket, this came in the form of not only licensing the names of clubs in the game but also the names of the players. The problem was that EA Cricket 2005 never sold as well as anybody wanted. Not 100% sure why this is the case. I know that it picked up a few terrible reviews at the time, but it was not necessarily a bad game. Sadly, this meant the following year, EA was less willing to throw money at the game. The result was that the 2005 version was the only game to ever have licensed names in it. Shame that, really. Alas, you can pick up EA Cricket 2005 pretty cheap nowadays, so it is not a major loss. Football Manager is one of the biggest selling sports games in the world. In Football Manager, you will take control of a football team and hopefully guide them to success. International Cricket Captain is cricket’s answer to this. 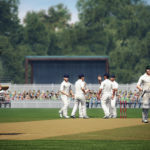 While it is not as ‘fully featured’ as Football Manager, each iteration of International Cricket Captain is a huge ‘step up’ on the previous year’s offerings. If you have always fancied yourself as somewhat of a cricket manager, then check out International Cricket Captain. You probably do need to be aware that it has somewhat of a different vibe to the other games I have talked about on this page. You aren’t going to be hitting balls or catching them for that matter. You just need to take a back-seat role and watch as the action unfolds. Alas, if you can do that, and you have a solid understanding of how the world of cricket works, I think you are going to have a tremendous amount of fun with this game. 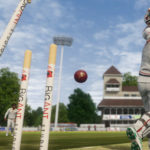 I am going to round off this list with a game that I genuinely believe is the greatest cricket game of all time. 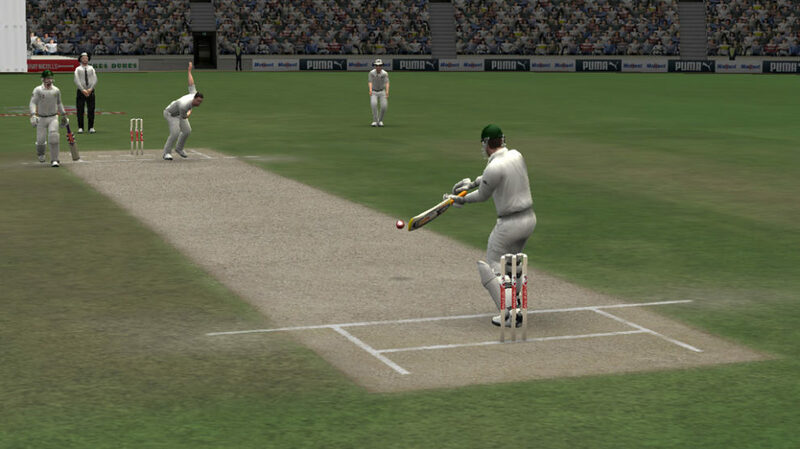 While International Cricket 2010 is not the most realistic game in the world, it is fun. It is responsive. You get to take on whatever role you want, and it is a game that you could easily lose hundreds of hours in.